1.Nice gift for families or friends,perfect decoration for your party, bars and discos. 2.It glows automatically when drinks are added it turns off when there is no liquid left. 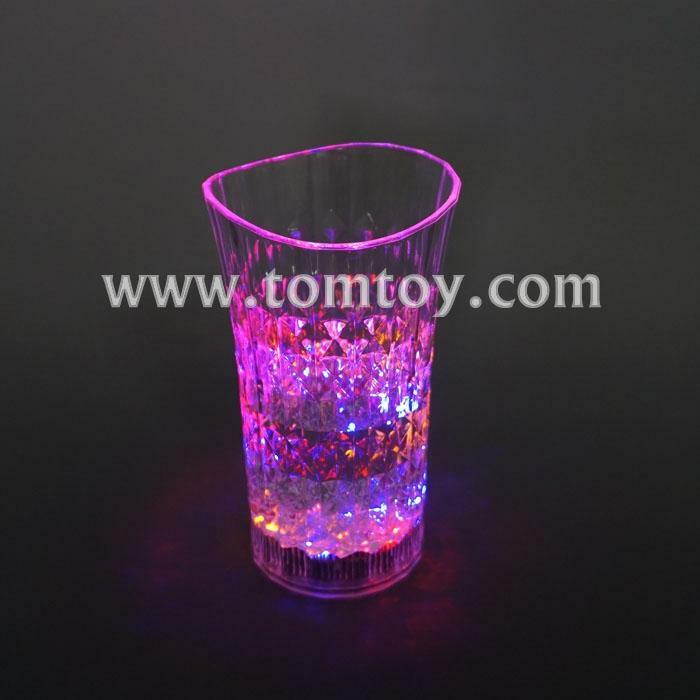 3.Glow in the dark:Flash Light up Cups suitable for parties, bars, wedding parties with camping outdooractivity. 4.The shape of curved makes your party different. 5.Package safety:Never damaged when you receive these cups.